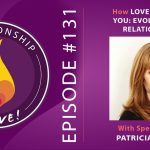 How do you bring magic and consciousness to the way that you commit to your partner? And, if you’re getting married, how do you create a wedding that truly represents YOU – not simply what society expects a wedding to be? 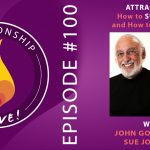 Plus – is there a way to imbue your commitment with dynamic energy – instead of feeling confined, and stagnant? 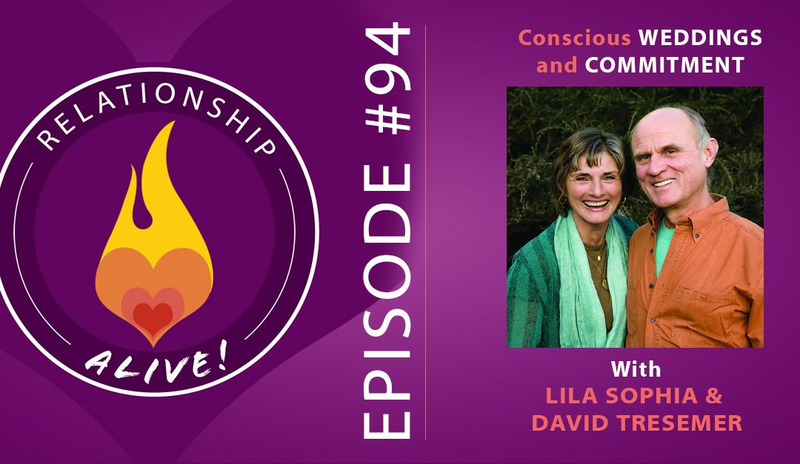 It today’s episode, our guests are Lila Sophia and David Tresemer, the authors of Conscious Wedding Handbook, and producers of the DVD Couples Illumination: Creating a Conscious Partnership. 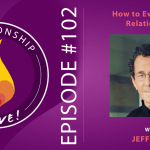 Along with answering these questions, we chat about how to develop deep, sacred alignment with our partners – and how to create space for the “Sacred Moment” to occur – in your weddings and rituals, as well as life in general! Click here to receive the show guide for Lila Sophia and David Tresemer! We need to be engaged: It is not quite enough to just want to be happy and ‘do life’. In order to be fulfilled in our lives and in our relationships it is critical to engage in discovering and committing to that which gives a sense of a deeper and more expansive meaning. Begin, as a couple, to ask questions such as: What are our values? What new project do we we want to undertake? What kind of social spiritual activism can we engage in? 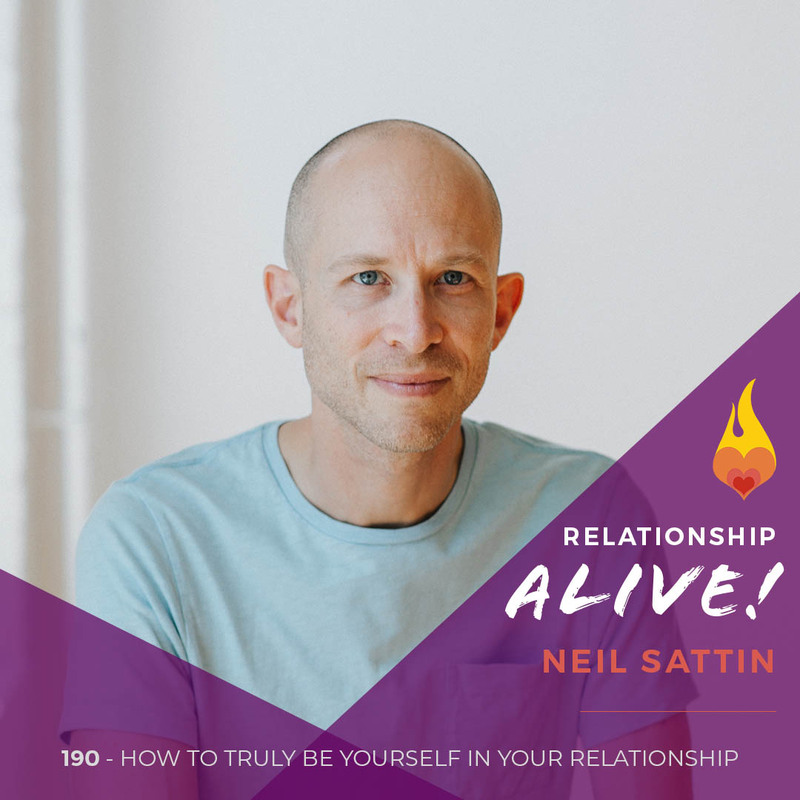 How can we deepen in ourselves and create meaning as a couple? In order to sustain vibrancy as a couple it is important to be proactive and engaged. Use the support of your sacred union to do this! Promote curiosity: We never want to lose sight of the magic of ourselves and our partners. One way to build curiosity is through something called repeated questioning. Repeated questions are based on a foundational belief that there is always a deeper layer to access. When you keep repeating the question you will get different responses. As the automatic answers are heard, and you continue to ask for further layers, you become capable of accessing a more mystical realm. This exercise promotes intense curiosity and deep listening. Repeated Questioning: Start off simply! In an attempt to practice this exercise, begin with something as innocuous as “what is your favorite dessert?” The questioner/coach ALWAYS says “thank you”, and then repeats the question- “what is your favorite dessert?” Go for about 3 minutes, and then switch. You will begin to discover things that are below the obvious and are true discoveries. Let it flow! After the exercise, be sure to take a moment to integrate through writing. What did we learn? What surprised us? “What is relationship for?”: Ask this question, and then repeat. Ask again. And again. Explore. Listen. Allow innate wisdom to come through. This is especially great to do with your partner so you can discover and delight in new awarenesses together. Cultivate equanimity: This exercise is not about fixing, judging, or changing your partner. It is about deeply listening in and holding space for something new to emerge. This is a nurturing exercise, rather than a manipulating or manifesting one. Stay present, stay curious, and stay open. If you find yourself taking answers personally, or becoming emotionally charged, try to come back to the basics of the exercise. If you cannot connect back with your open self, pause and recalibrate- finding regulation either with the support of your partner or by taking a break by yourself. 1, 2, Oneness. Through a dynamic partnership with another human being love can find a home in a way that leads to very astonishing experiences. This connection can be called ‘one-ness’- that sense of being in touch with creation itself. While this togetherness is incredibly powerful and juicy, it is critical that we continue to cultivate our own one-ness. We must be able to be sovereign individuals who would be happy to live on our own, and from this sense of inner stability choose to join with another to become a 2. If this is not the case we may find that we are choosing our partner because we are looking for a cure (and we do NOT marry our doctors). We do not thrive in love when our brokenness chooses our relationships. Choose from wholeness, whatever that might mean to you in any given moment. Tender territory. Every couple must learn to recognize that each individual needs to be accountable to their own sense of wholeness and sovereignty. From this knowing they are far better equipped for connection versus conflict. From wholeness each person can use their tools to best help navigate difficult territory with the intention of collaborative repair instead of a place of needing to be right or prove themselves. Learn to take care of your own triggers. Learn to take responsibility for yourself when you are in reactivity. After a disruption remember to join forces again to reflect together on how to do it better next time. And of course, be sure this is a loving conversation in which you both show up with curiosity, rather than with blame and shame. Cultivating a sense of wholeness: Is total wholeness a prerequisite for being in a relationship? This is an important question, however there is not one right answer. Plus, to think that we can only come into relationship when we are completely whole would likely eliminate a lot of weddings! It will always be true that we always have more of our individual work to do. And it is always true that we are always in relationship. There are cycles in personal growth that one constantly goes through, and it is not a linear path to wholeness. What is necessary is that we are able to have enough self awareness to know how to check in with ourselves and ask what we might need in any given moment. Do I need to go into a 10 day solo retreat? Do I need to go away with my partner for a vacation? Do I simply need to walk out of the room right now? Relationships are for mutual support! Magical things can happen through relationship with another human being! Part of this magic is the gift you receive from your significant other’s support for you to do your own work. Through supportive partnership you can stand shoulder to shoulder and assist each other in growing into your individuality in more authentic and expansive ways. The learning may be filled with light and love, or perhaps hurt and frustration. All relationships (INCLUDING those that end) offer opportunities for growth and learning. Cultivate gratitude for the supportive aspects of your partnership as this can become a resource yard to visit in challenging times. Twin flames. Whether you are single, dating, or prepping for marriage it is worth checking out your inherited views on how to know if someone is right for you. Do you find yourself believing in the concept of twin flames? Soul mates? Prince charming? Happily ever after? And how do these concepts affect you? Are there certain idealizations or expectations that you may need to let go of or dissolve in order to be open to that which is in front of you? Or perhaps you just need to edit/reinvent an ideal to help reinforce your faith and knowing? Celebrate and care-take the jitters: Almost everyone stepping into big commitment has and will experience ‘the jitters’. This phenomenon is NOT necessarily a sign that something is wrong. These jitters are simply anxiety, and anxiety is just energy that is trying to communicate something to you. Don’t suppress it- instead, work with it. Breathe into it, take it to the gym… try to help it find its shape and form because it is here to assist you in growing. Having this (often pre-wedding) anxiety can be unpleasant and uncomfortable, however it is here because you are working with the unknown. By respecting this, you get to celebrate the jitters as it means that things are happening! Forever: Have you been married before and wondering how to trust your sense of ‘foreverness’ as you prepare to marry again? Does the word ‘forever’ bring you comfort, or discomfort? It can be helpful to explore your sense and assumptions of the word before entering into marriage. Can you connect with foreverness as being more about a space and experience beyond time? A mythical conceptual form that helps us reach towards bliss and creative power and invokes something greater? As mortals we cannot promise foreverness, so how can we redefine this term in a way that brings bigness into the wedding, without having it become a binding or limiting paradigm? Reframe failure: Not all relationships will be lifelong. Not all relationships should continue. Exploring what this might mean in your own partnership before the wedding is a mature and loving undertaking. Dealing with the possibility of future splitting up front is as real as it gets. If we enter consciously into relationships, then there is the possibility to end consciously as well. What conversations or steps do you need to take together to not make divorce a taboo? While this can be daunting territory to bring into a pre-wedding process, couples who do discuss future possibilities report feeling much more secure, trusting, and able to navigate the challenges that do arise. NOTE: It can be very helpful to seek out the support and services of a third party, such as a mediator skilled with creating prenuptial agreements, to help you answer questions without going into a fear-based place. Conflict WILL occur: As soon as the possibility of divorce/separation is safely introduced into a partnership, couples are much more able to navigate conflict. Conflict WILL occur (actually we should all hope it does so that we can keep learning and growing). 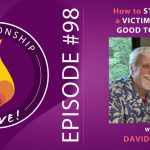 Unfortunately many people are terrified of conflict because they believe it might result in separation, and thus they take many harmful steps to avoid, suppress, or appease important areas of tension. What if, instead, you can recognize that you need to be able to harness the energy of conflict to help break through to the other side? Can you craft a ship for your relationship that is as watertight as possible to weather the inevitable storms? 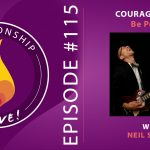 Build resiliency through having a well crafted contract, good tools, and deep love. And be sure to create a constellation of shared values and visions to help you navigate the stormy times. In whose name? In whose name is a question that helps identify this constellation. What is highest vibration that you associate with your relationship? The core intention? The answer may be religious, or it may be spiritual. Is it compassion? Love? Service to humanity? Awakened awareness? Truth? Find that which inspires both of you to connect with something greater. This greatness will then be there to sustain you through the challenges. The sacred moment: Sacredness cannot be manufactured. Sacredness cannot be ordered, planned, or guaranteed. And yet, sacredness belongs in your wedding, just as much as it belongs in your marriage. Weddings are one of the last remaining ceremonies in modern Western cultures, and are largely defined at this point by consumerism. Look closely at ways you may be being influenced by the wedding industry’s expectations, and look closer in at your own desires for the ceremony. The wedding ceremony is truly an opportunity for a transformational experience. While we cannot force sacred moments to occur, we can set intentions and create containers and temples to allow for what is real to emerge. Work with whomever is marrying you to find ways throughout the ceremony to leave space for spontaneity. By bringing in intention and invoking that magic can happen is the key to it actually happening. It is not in the words as much as it is in the space between the words. It is less about having the most perfectly crafted wedding plan, as it is about laughing during the mistakes. Be sure to choose a celebrant who can hold the ceremony in a way that lets you let go! This will allow you, and all of your guests, to relax into the felt sense that something significant IS happening. Remember, you can’t force it- you can simply invite love in, and if you make the needed space, it will show up- and often in the oddest and funniest and most unexpectedly delicious way! Sweet silence: Safe silence is one of the greatest gifts we can share with someone we love. Invoke and celebrate this by allowing moments of silence in your wedding ceremony. Silence can be the pregnant moment gives just enough time for sacredness to sneak in.